Wow, they've done a lot in this area. ^And not all of it was for the better. Funny, I've only just now realized that there are no original rides from that area of the park still around. 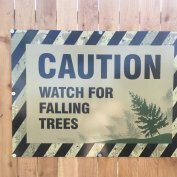 That is true of much of the park. 40+ years is a long time. Got to admit that SOB made the skyline epic. I'd STILL rather have Gold Star. Dixie Chili, all the way. I'd like to see a classic flat brought back, oh the nastalgia in cramped areas of the park. Agreed! Goldstar over Skyline anyday. i'd do anything for a classic schwarzkopf ride!! 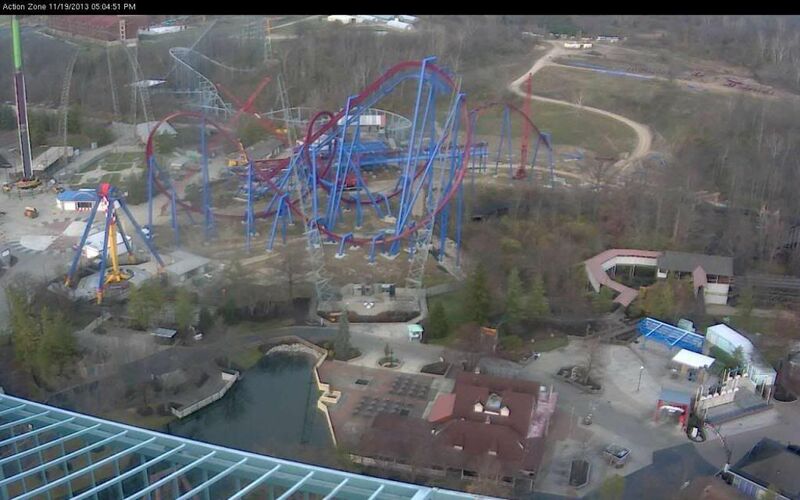 there is still space and hope for a Bayern Kurve in the old skylab space in front of AE... hmm. uh... How about Price Hill Chili? Dixie? Puh-leeze. Empress for me. This I think is the epitome of Oktoberfest - 1987. 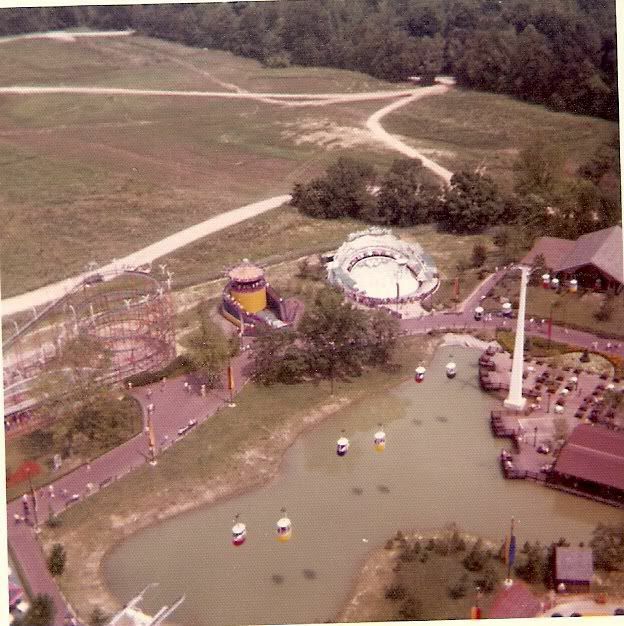 Everything still stuck to their area's respective story, including rides spread throughout for a wide range of age-levels (additionally, German music, King Cobra in African area, Skylab in Coney, etc.). Why remove these rides? Why add rides and re-theme restaurants that don't reflect that area's nationality? Why ignore themed assets already there (i.e. this)? 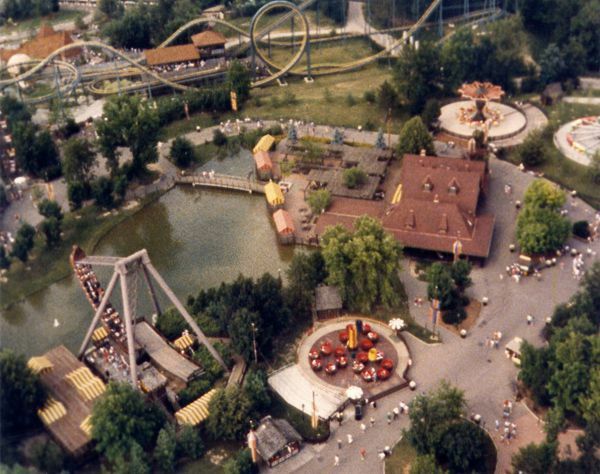 Oktoberfest isn't unique though - comparing all areas of the '87 park with today, you'll notice a slow degradation of the "international" and locally-themed placemaking. 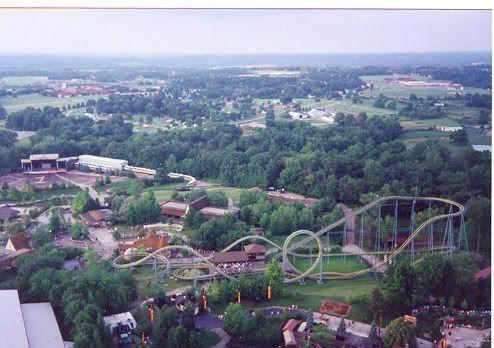 Anyway, list of things in this image now defunct: Der Spinning Keggers, Flying Dutchman, Skylab, Ferris Wheel, King Cobra, the whole Wild Animal Habitat area - almost everything. 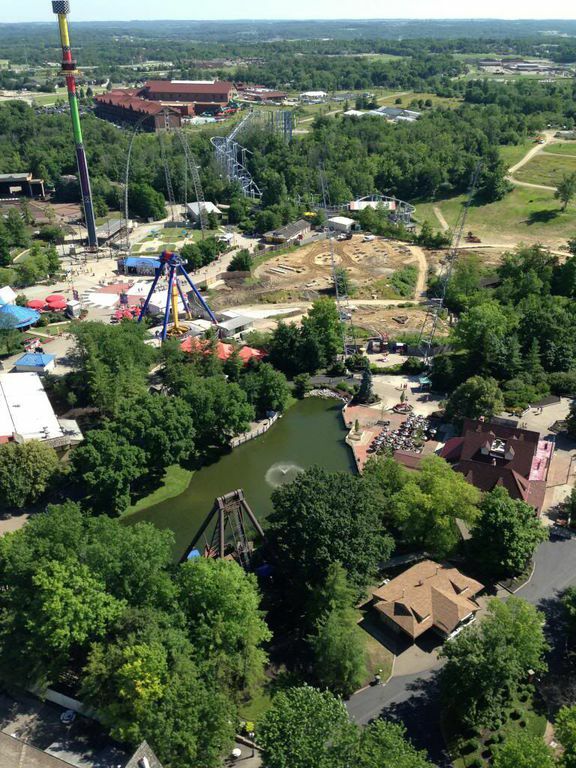 Image source: Geauga Dog, Theme Park Review. I personally don't need a large Oktoberfest section. I would be happy if they just made Festhaus German-themed again. That would be good enough for me. Out of curiosity, what is the building in the 2nd to last pic of the OP just to the right directly next to Viking Fury (where Der Spinning Keggers originally were)? What a waste! Replace it with a classic flat! I feel like I'd be okay with just calling Festhaus and Viking Fury part of International Street. Gives a reason for Italian and Chinese food in Festhaus and kind of makes sense considering how small Oktoberfest is. As disappointing and sad as it sounds to lose one of the 5 original themed areas that the park had when it first opened, this actually does make a lot of sense. I feel like even if a few more small things were added, it would feel more authentic again. Bring life back to a little area that once had such a rich feel to it ( from the pictures I can tell ) CP has all these little details amongst the giant coasters...I feel like giving that same aspect to KI in areas like OF would drastically help. -Make it part of International Street (kind of like KD has the area with Berserker and Dominator), or call the area "International Festival" like CW has. -Festhaus could probably use a new name and a third restaurant added- I'm sure there's room next to Panda Express. That side of the building might need to be somewhat reconfigured, but it'd be nice to have a third "international" food choice- maybe a park-run option with rotating specials? The tables and benches would all be replaced with new, smaller tables with real chairs. Also, something should really be done with the entrance from Action Zone- it's so ugly right now. -Action Blast game should be either removed or rethemed to fit the area. -Some sort of boat attraction in the Oktoberfest pond would be nice but unlikely. -New flats in the old Skylab and Tower Gardens areas. -Give AE a clear place and time- this could be easily achieved with just a few signs and some theming in the queue tunnels. -Airbrush shirt place needs a sign that is thematically and grammatically correct. I feel like if Kinzel was still around, there would be absolutely no hope for anything to happen in Okterberfest anytime soon. However, I'm sure it's on Ouimet's radar. I don't expect him to do any massive theming or additions, but I am fairy confident that in the next several years he will spruce up the area. I think Ouimet is leaning towards atmosphere theming. Lights, landscape and experience...all good things. Can anyone with the knowledge tell me why the keggers were removed? Or Rotor? Bayern Curve? Bavarian Beetle? Or Wheel of Fortune? In days of olde, things were far less transparent. Decisions were made on high. The reasons therefor were seldom disclosed or discussed. Figured I'd pop in here. 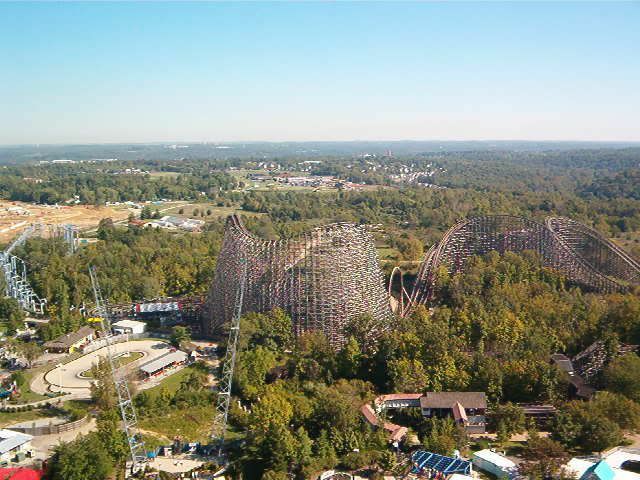 If you ever look at Google Images, or Nearmap you can totally see that the line for Adventure Express was completely planned around the ride, since you can still see it's location based on the concrete as well as the beginning of the queue of Adventure Express. Man... 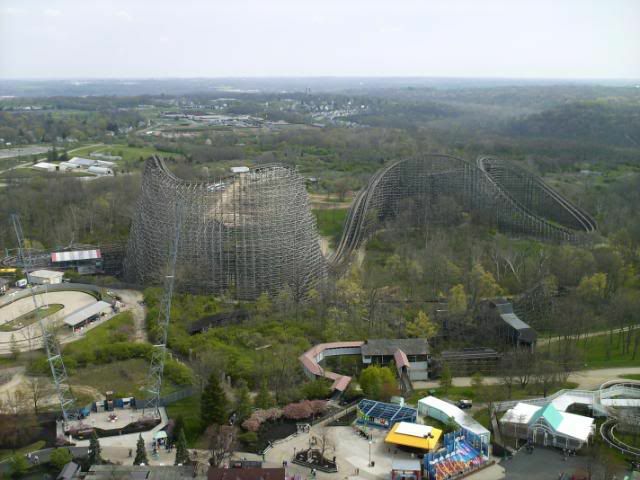 I wish I could have visited Kings Island during the Taft days. It seems like it was a totally different park! Does anyone know when the bridge over the pond was added and when it was removed? It wasn't there when the park opened and it wasn't there in 1983, but it was there by 1987 and it was positivly there in 1991. And does anyone know why it was removed?